The Sung Family, subject of the Oscar nominated documentary "Abacus:Small Enough To Jail." The "Frontline" (PBS) documentary "Abacus: Small Enough To Jail," directed by award-winning filmmaker Steve James (Life Itself, Hoop Dreams) and produced by Mark Mitten (Life Itself) and Julie Goldman (Life Animated, Buck), has been nominated for an Academy Award in the Documentary Feature category. This nomination marks first Academy Award nomination for Best Documentary Feature for Steve James; Mark Mitten’s first Academy Award nomination; and Julie Goldman’s second Academy Award nomination for Best Documentary Feature. For the acclaimed PBS documentary series "Frontline" produced out of WGBH/Boston, this is a first Academy Award® nomination. "Abacus: Small Enough To Jail" chronicles the Chinese-American Sung family’s fight to clear their names after their small bank in New York City’s Chinatown became the only U.S. bank indicted for mortgage fraud related to the 2008 financial crisis. 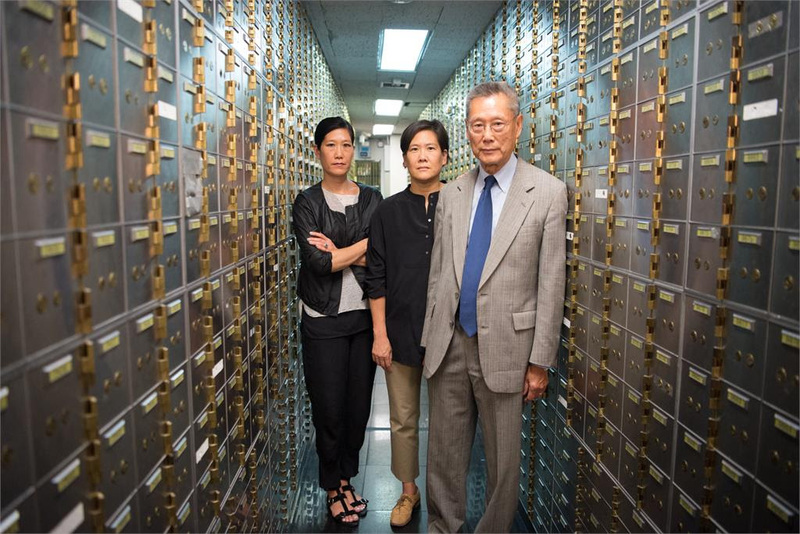 The documentary follows how the bank’s indictment and subsequent trial forced the Sung family to defend themselves — and their bank’s legacy in the Chinatown community — over the course of a five-year legal battle. "Abacus: Small Enough To Jail" was previously nominated for “Best Documentary” by both the National Board of Review and by The Chicago Film Critics Association, and was awarded “Best Political Documentary” by the Critics’ Choice Documentary Awards last November. Steve James is a nominee for Best Director by the DGA for his work on Abacus. The 90th Academy Awards® nominations were announced today by the Academy. Also nominated in the Documentary Feature category was the POV documentary, "Last Men in Aleppo." This year’s Oscars ceremony will take place Sunday, March 4, 2018.